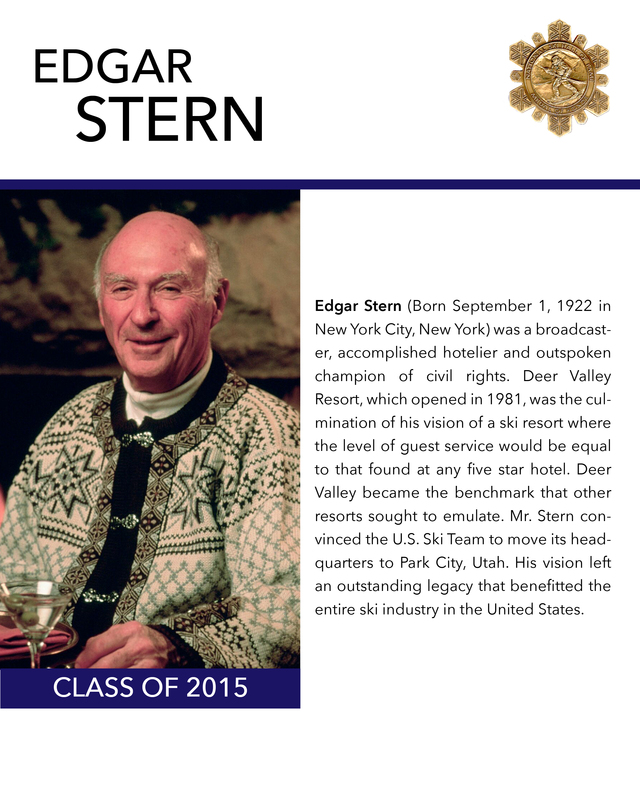 Extraordinary attention to customer care fueled Edgar Stern’s vision and set the gold standard for service in the ski world, a legacy that continues at Deer Valley Resort. Born in New York City, Edgar was raised in Louisiana, the son of Edgar and Edith Stern, considered the first couple of New Orleans. Following the Stern family history for business, his entrepreneurial skills started early. At 26, he and his father founded Royal Street Corporation and put the first commercial TV station in the Gulf Coast on the air. Under Royal Street, he went on to open hotels and launch real estate developments, including the region’s first air-conditioned shopping mall. In 1968, he moved to Colorado, bringing his real estate experience to Aspen. Then in 1970, he moved farther west and bought Treasure Mountain Resort, turning it into Park City Mountain Resort. 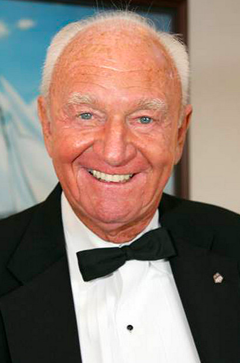 He invested in new lifts and lodges, and with a handshake, brought Norwegian ski legend, Stein Erikson, to Utah. By 1974, he also helped lure the U.S. Alpine Ski Team to Park City. In 1975, he sold Park City to purse his quest for a new resort, one aimed at a five-star standard for food, amenities and customer service. Even in the best of times, developing a new ski resort is risky, not to mention rewriting the script on how it would operate. While Edgar is rememberers for his humble and low key demeanor, this veteran and accomplished hotelier had solid faith in his principles for service. He also trusted his success to three key factors: access to major airport, proximity to an existing town, and private ownership of the 2,000 acres that would become Deer Valley. Combined, he was ready to apply the decorum of a fine hotel to the snowy slopes of Wasatch. The “Deer Valley Difference” worked. From the moment guests arrived, uniformed valets carried their gear from parking lot to lodge. Impeccable grooming, gourmet dining and elegant lodging added to enhance the ski experience. The resort grew from five to twenty-one lifts and now covers 100 runs on six bowls on six different mountains. Employees increased from 200 to 2,800; some have been with the company since the beginning in 1981. The changes made an impact on the winter resort industry and in 1992, Edgar was honored by the Utah State Senate as “Father of Utah’s Ski Industry”. Edgar died October 12, 2008, but his commitment to excellence continues with Deer Valley, earning Ski Magazine’s top ranking more than any other ski resort on the continent. If you notice any errors or inconsistencies in Edgar Stern's bio, click here to let us know.